Throughout its history since 1948, Israel has been at war on defenseless Palestinians – an entire population terrorized by a ruthless, illegal occupier in the Territories. 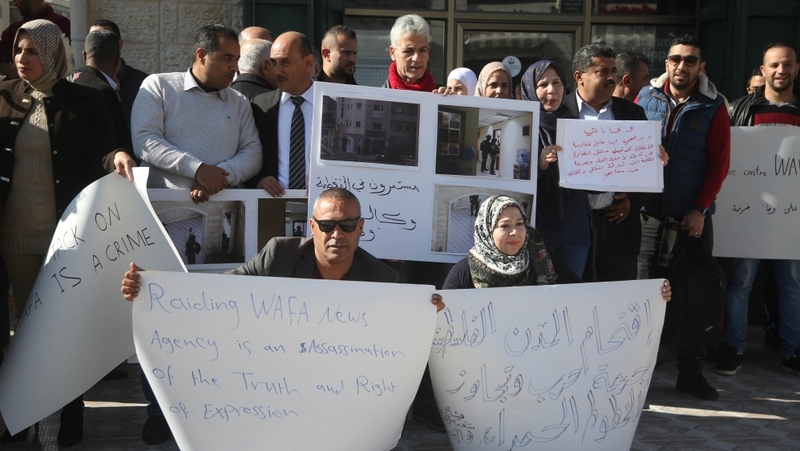 Israeli Arab citizens are denied their fundamental rights – afforded only to Jews. Apartheid rule worse than South Africa’s terrorizes them. Yet the world community remains largely uncaring and dismissive toward a long-suffering people. Their rights and welfare don’t matter. A state of undeclared war exists in the West Bank and East Jerusalem, worst of all in besieged Gaza, its two million residents held hostage in the world’s largest open-air prison. They’re easy pickings for Israeli terror-bombing and cross-border ground incursions. No safe havens exist anywhere in Occupied Palestine. 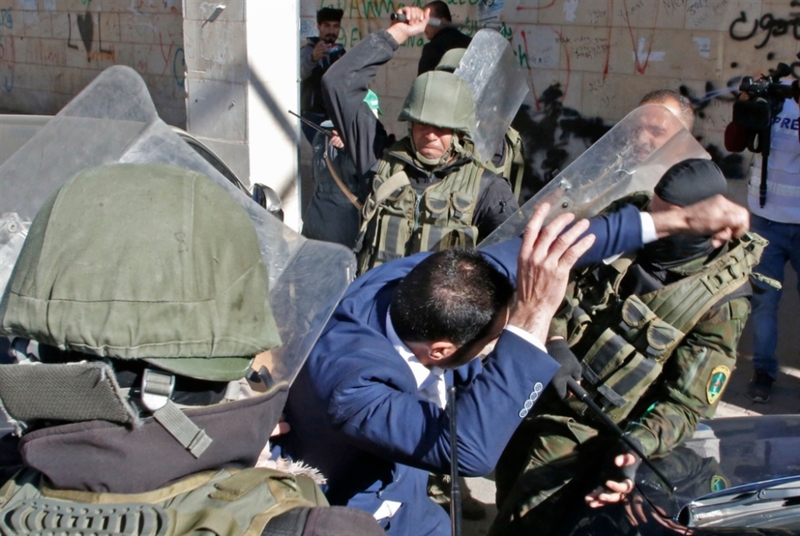 Israeli soldiers and other security forces conduct multiple daily raids in Palestinian West Bank and East Jerusalem communities, many pre-dawn – terrorizing families, traumatizing young children, arrests made solely for political reasons. Thousands of Palestinian men, women, youths, and young children languish in Israel’s gulag as political prisoners – hundreds uncharged and untried. Israeli Jews live normal lives. A permanent state of emergency exists in Occupied Palestine, in place since the late 1940s. The lives and welfare of millions of Palestinians are threatened by racist Israeli regimes wanting them eliminated – terrorized by tyrannical apartheid rule on steroids. PLO chairman/Israeli-installed Palestinian president/long-time collaborator with the Jewish state Mahmoud Abbas acts as its enforcer against his own people. Except for PLO executive committee member Hanan Ashrawi, Abbas and the PLO are the enemies of the Palestinian people – especially hostile toward Gazans, their policies contributing to their misery. The problem with the above statement is no positive PLO policy initiatives support it – just the opposite. Earlier leaked US diplomatic cables confirmed that Abbas knew about Israel’s December 2008/January 2009 Cast Lead aggression in advance. Israel conferred with him and other PA leaders before launching it. Abbas lied saying he got no advance word. Reuters quoted him “urg(ing) Israel to crush Hamas during the war.” Israeli war minister Avigdor Lieberman was foreign minister at the time. Abbas also collaborated with Washington against Hamas. He likely knew about Israel’s 2012 Pillar of Cloud and 2014 Protective Edge aggression in advance – supporting both wars against Gaza and Hamas. The Gaza-based Palestinian Center for Human Rights (PCHR) is located in the eye of Israel’s Sunday through Tuesday naked aggression on the Strip. Seven Izz al-Din al-Qassam Brigades members were also killed. The PCHR said Israeli terror-bombing and shelling were the most intense since summer 2014 aggression on the Strip. “…Israeli artillery shelling also targeted the areas adjacent to the border fence with Israel.” Palestinian homes were destroyed and all possessions in them. Unknown numbers of casualties may remain to be reported, especially if bodies (largely civilians) are buried beneath rubble. Buildings were destroyed or damaged a “few meters away from the the former head office of the” PCHR. The human rights group and others condemned Israeli aggression, exacerbating humanitarian crisis conditions. Israel repeatedly commits grave UN Charter, Fourth Geneva, Rome Statute, and other international law breaches with impunity, none more serious than crimes of war, against humanity and genocide – Israeli specialties for the past 70 years. A Haaretz Amos Harel commentary disgracefully blamed Hamas for the latest Israeli naked aggression on the Strip. No responsible editors would touch his rubbish. Haaretz editors featured it – a racist commentary filled with disinformation, willful deception, and Big Lies, resembling what Western media feature. Harel operates as an IDF press agent, serving its interests, suppressing hard truths. He downplayed the seriousness of Israel’s overnight Sunday commando raid – murdering seven Gazans, lamenting the loss of a senior IDF officer. Israel considers civilians and nonmilitary sites legitimate targets in all its wars and other belligerent actions – flagrantly violating international law it doesn’t give a hoot about. Israeli rules of engagement unjustifiably justify anything goes – including willfully massacring civilians, the vast number of dead and wounded in all its wars of aggression, along with destroying residential areas. 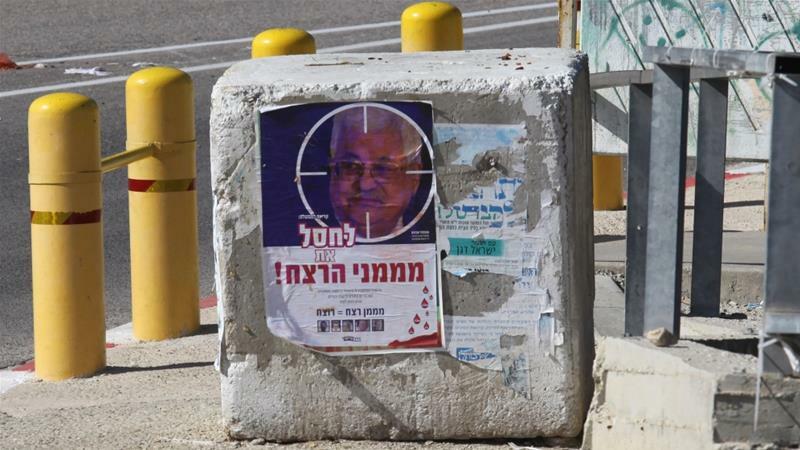 Harel lied claiming Hamas “escalate(ed) tensions” short of another war – Israel entirely responsible for ones launched, including aggression since Sunday, never Hamas or other Palestinians. For over 48 hours, Israel escalated war on Gaza without declaring it. Like the Netanyahu regime and Washington, Harel blamed Hamas for premeditated Israeli naked aggression. A ceasefire Israel tentatively agreed to isn’t worth the paper it’s written on – to be breached whenever the Netanyahu regime believes it’s in its strategic interest to strike again – the way it’s always been in Gaza and throughout the Territories. أنباء عن تسارع مرتقب لزيارات المسؤولين «الإسرائيليين» في الأيام القليلة المقبلة لدول خليجية عدّة في مقدّمها البحرين التي يُقال إنّ اليهود يحضّرون لمفاجأة ثانية تقضي بزيارة لنتن ياهو تترافق مع افتتاح سفارة للكيان في المنامة…! استئناف المفاوضات مع محمود عباس فوراً. 2- استثناء القدس حالياً من المفاوضات. 3- تأجيل مناقشة موضوعَيْ حق العودة واللاجئين في المفاوضات. 4- قيام الدول الخليجية بتمويل بناء مستوطنات جديدة تحت عنوان التنمية العمرانية والسكانية للإقليم. وهو الأمر الذي سيناقشه وزير البنى التحتية «الإسرائيلي» في زيارات مرتقبة له لعواصم خليجية عدة. إنّ الشخص الذي قام بترتيب هذه الزياره هو رونالد لوبير، وهو يهودي أميركي مقرّب من نتن ياهو، ويقوم بتنسيق تحركاته، بشكل من الأشكال، مع جاريد كوشنر. إنّ هذا الشخص قد بدأ ببذل الجهود لعقد هذا اللقاء منذ أكثر من شهر، بمعزل عن آل سعود ودون التشاور معهم، لأنه يعتقد أو كان يعتقد حتى قبل أزمة الخاشقجي بأنّ دورهم انتهى في المنطقة ولن يطول الوقت حتى تتفتت السعودية ودول خليجية أخرى، وذلك بسبب الخلافات الداخلية أكثر من أيّ سبب آخر. يعتقد صاحب فكرة عقد الاجتماع، أو دعنا نسمِّها لقاءات الجاهة كما تُعرف في بلاد الشام، مع سلطان عُمان بأنّ سلاسة اُسلوب العُمانيين قد تكون أكثر نجاحاً في إقناع الفلسطينيين في الانخراط في صفقة القرن، خلافاً لما أسفرت عنه جهود محمد بن سلمان الفظة في التعامل مع الفلسطينيين، سواء في الاجتماعات المغلقة أو في وسائل الإعلام، ما أدّى الى زيادة تصلبهم تجاه خطة ترامب. تؤكد مصادرنا أنّ سلطان عُمان ووزير خارجيته قد اقترحا على رئيس السلطة الفلسطينية، خلال اجتماعهما به يوم 22/10/2018 في مسقط، العودة الى المفاوضات المباشرة مع «الإسرائيليين» وأنّهم سيعملون على إقناع نتنياهو بقبول بعض التعديلات على مشروع الرئيس الأميركي المسمّى صفقة القرن. كما تؤكد مصادرنا بأنّ أبو مازن قد وعد السلطان قابوس بدراسة هذا المقترح بعد دورة المجلس المركزي لمنظمة التحرير الفلسطينية، الذي يُعقد في رام الله منذ يوم أمس الأحد 28/10/2018، ما يعني أنه أبقى الباب موارباً في هذا الشأن، وذلك بهدف تمرير قراراته بشأن غزة في الاجتماع المُشار إليه أعلاه، من دون التعرّض لضغوط «إسرائيلية»، حيث إن «إسرائيل» تعارض هذه القرارات، حسب ما أبلغه رئيس الشاباك «الإسرائيلي»، نداف أرغمان، لأبي مازن، خلال اجتماعه معه في منزل أبو مازن في رام الله قبل أيّام من زيارته لعُمان، وذلك خشية أن تؤدّي الضغوط المتزايدة على مواطني قطاع غزة وفصائل المقاومة الفلسطينية هناك الى تفجير الوضع في وجه «إسرائيل»، التي ستضطر للدخول في حرب ضدّ القطاع وهي لا تريدها في الوقت الراهن. ترى مصادرنا أنّ المسار العُماني لا يتعارض مع تحركات مستشار الرئيس الأميركي، جاريد كوشنر، وما يسمّى بالمبعوث الأميركي للسلام في الشرق الأوسط، جايسون غرينبلات، بل هي مكملة لها وإن بعيار أخف وبتخدير موضعي وغرفة عناية فائقة سلطنة عُمان قد تنجح في إنقاذ المريض الذي يصارع الموت، صفقة ترامب المسماة: صفقة القرن.